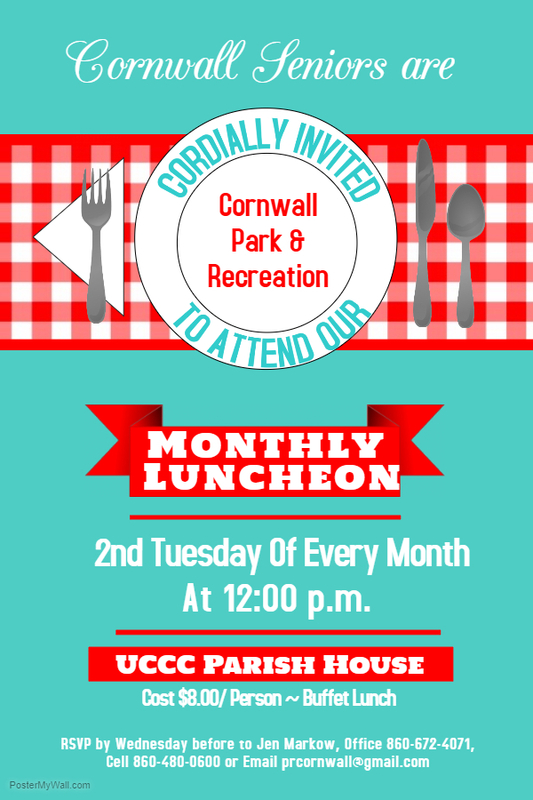 Cornwall Park & Recreation offers several programs for seniors throughout the year. Call Director Jennifer Hurlburt-Markow for more information, 860-672-4071 or e-mail at . Looking for upcoming senior events? View our calendar.